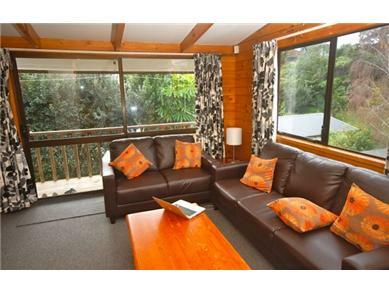 Close to Eden Park. Modern & high quality. 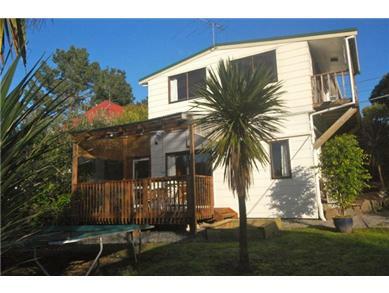 Quiet location close to Auckland City. 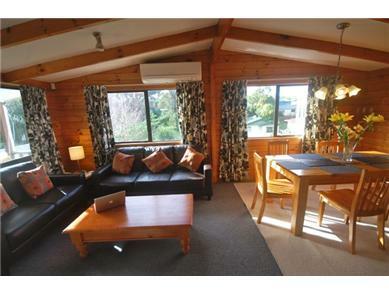 The standard price is NZD$ 130.00 per night. A discount of 10.00% is available on bookings 3 week/s or over. A discount of 15.00% is available on bookings 5 week/s or over. A discount of 20.00% is available on bookings 7 week/s or over. A discount of 25.00% is available on bookings 9 week/s or over. A discount of 28.00% is available on bookings 12 week/s or over. Te Koru 1 - 4.6 out of 5 based on 3 ratings. 3 guest reviews. Te Koru 1 - Reviewed by Robyn from U.S.A. in November 2017. Second time we have stayed there. 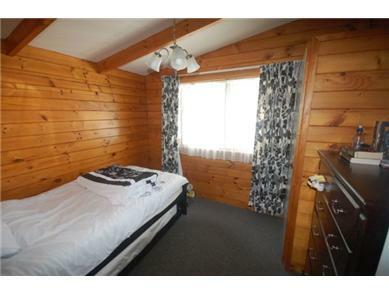 Very clean and good amenities. Would definitely stay again and refer friends. Te Koru 1 - Reviewed by Grant & Julie-Anne from New Zealand in March 2017. The master bedroom bed is too hard. It made it hard to sleep. A clothes dryer would be very good as having your laundry drying on the patio is not good. Also dealing with washing continually on holiday doesn't feel much like a holiday. Unlimited internet is only a few dollars more and as there is no sky on the tv this would have been very handy indeed. Sky tv is needed. More sheets and linen for the beds. We got very hot and there was a lot of rain so beds were in need of change. And washing and drying sheets wasn't an option. Scissors for the kitchen. Another pillow for each bed. Two for the master. More than one set of tongs would be good. Te Koru 1 - Reviewed by Bev from Australia in April 2016. Thank you! Very glad you liked our house. Our house is so sunny and warm that even in winter you normally only have to heat in the late afternoon or early evening. This is partly due to the location of the house which is exposed to the sun all day long, and partly due to the excellent isolation and solid wooden walls. Heating is provided by an environmentally friendly heat pump, and the warm water is solar-heated. In the house we used almost exclusively sustainable materials such as wood, wool, granit, and cotton. 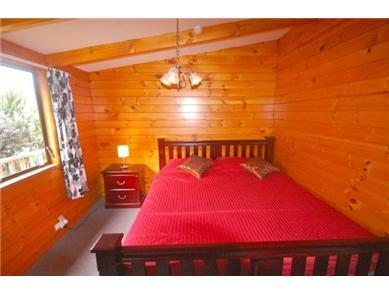 You don't have to bring your own linen. 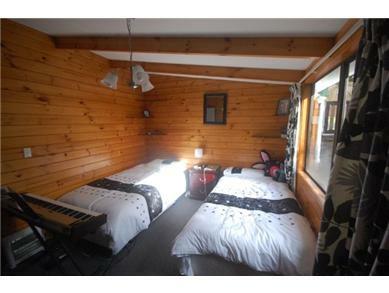 Upon arrival the beds are already made and towels are provided too. 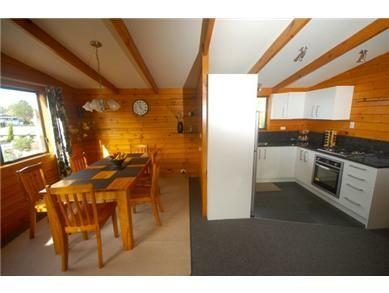 The carpet is 100% NZ wool, the furniture made of wood, the kitchen has a granit bench top, the washing machine is a European front loader. The house is equipped with a burglar and fire alarm. The garden is fully fenced and access is though a sliding gate. Open-plan living and dining area with a comfortable lounge suite, an entertainment unit with large flatscreen tv, dvd, cd, radio, stereo. 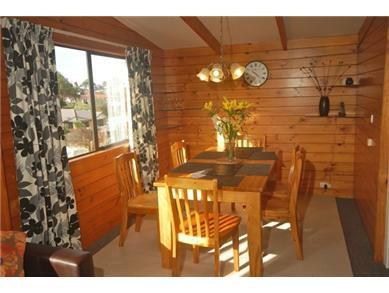 Wifi Internet access, telephone, Dining area with a dining table and six chairs. Brand-new modern kitchen with granite benchtop, gas stove, electric oven, microwave, blender, toaster, coffee machine, fridge-freezer, cookware and tableware for 6 person. King-size bed with comfortable mattress and anti-dust mite mattress protector. Bedside table, night lamp, alarm. Linen is provided. Two king-single beds with comfortable mattress and anti-dust mite mattress protector. Bedside table, night lamp, alarm. Linen is provided. 1 king-single and one single bed with comfortable mattress and anti-dust mite mattress protector. Bedside table, night lamp, alarm. Desk and chair. Linen is provided. 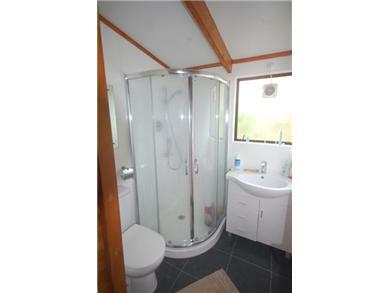 Modern bathroom with ceramic hand-basin, toilet, and shower. Heated towel-rail. Our holiday home is very quiet with a lovely view of the garden which is frequented by tuis, and occasionally also parrots and owls. The garden has to be shared with the occupants of the lower unit.